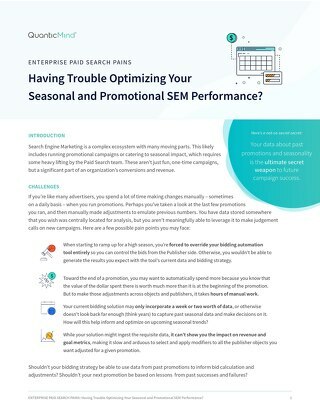 Enterprise Paid Search Pains: Are Data Issues Preventing You From Achieving Peak SEM Performance? 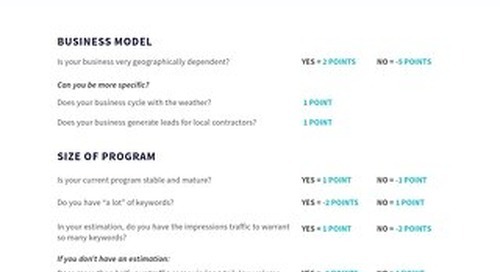 Your Paid Search program depends upon highly accurate and reliable data. 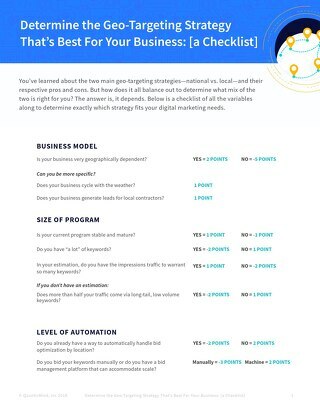 You have probably felt the pains of integrating data, and maybe even tried to somehow tie historical or latent data back to inform your strategy. When it comes to your program's performance, you always have a pulse on the levers at your disposal - but what about all that data? If your performance isn't meeting expectations, it's likely that your technology solutions aren't enabling a thorough data-powered model. 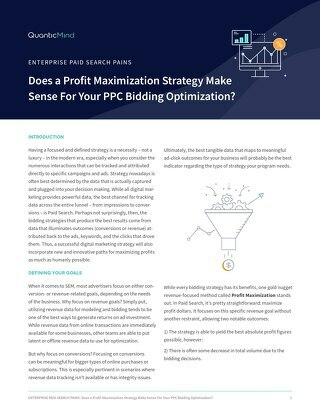 You may be using a bidding optimization tool that doesn’t give you the ability to utilize all of your historical data, offline data, or other 3rd party data sources for performance optimization, causing you to miss the mark on your critical PPC goals. 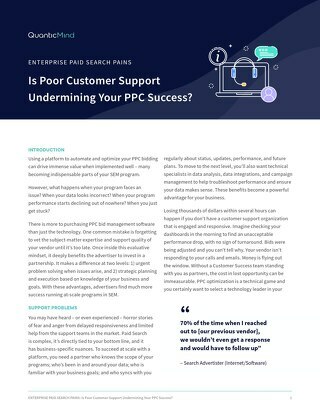 But we’re here to help with a new series, Enterprise Paid Search Pains, which takes a hard look at the numerous pains common to at-scale SEM/PPC programs. Important data that simply isn’t being captured. 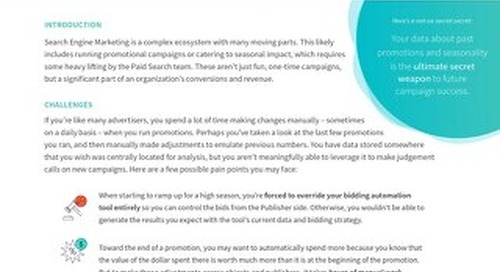 How and why your bid management solution doesn’t integrate with a given category of data. How and why your bid management solution doesn’t apply historical data far enough in the past. We also offer several tips for resolving some of your biggest data issues and direct you to technologies that address these ongoing and costly data challenges. This document is part of our Enterprise Paid Search Pains Series. Our aim is to help you unlock potential performance gains by removing any blockers or pains in your paid search programs!